“Piranha 3DD” is a textbook case of low-aimers confusing camp with cornball excess, in which an audience expecting silly thrills is subjected to nonsensical ramblings that bear no weight towards humor or amusement. If only there was some sense of irony to underline that prospect, but no such luck; those standing behind the camera are looking on here with deadpan conviction, perfectly content in the realization that they are in this, more or less, for financial benefit. I despise the very idea of that motive – it is an abuse of the medium, a counter-culture impulse in the guise of innocent entertainment at a time when the Hollywood machine needs less cattle and more instigators. We could at least have a good time, however disposable, at a film that ebbs low if it aims there, or at least contains some sample of wry awareness. Think of “Snakes on a Plane” as an example. But a movie this shameless, this grotesque in its assessment, only permeates the desperation of the mindless grab. 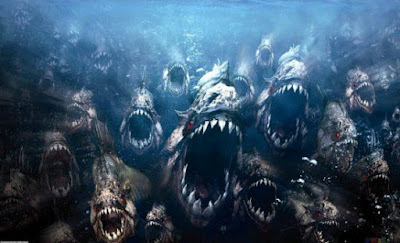 Earlier incarnations of the “Piranha” franchise – including a remake that precedes this one – knew they were about the stupid possibilities of the genre and enjoyed reveling in the exercise. Here is a follow-up that could not be any more clueless if it had been conceived in a void. The key observer in “Christine” is not the title character but her perceptive colleague, a woman named Jean whose distance would never be great enough to remain neutral from impending emotional traumas. She wanders passively in and out of newsroom conferences, sometimes engaged, sometimes quietly, but almost always with some facet of concern; among her peers is a female news anchor whose ambition is undermined by a crippling sense of self-doubt, and few others see the warning signs. Jean has known this instinctively since the early scenes, though there are few words exchanged that call attention to those realities. So paralyzing is her subject’s insecurity, in fact, that when there is an attempt to offer support, her kindness goes entirely unnoticed. 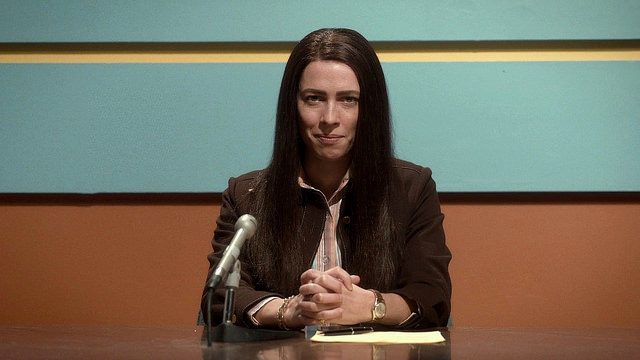 But whether these details really did occur in the brief life of Christine Chubbuck is not so important as the conviction that puts them there. This is a movie about the prison that is depression, as experienced in lives removed from an awareness that might have changed an unspeakable outcome. And at the end of it all stands a kind young woman whose greatest crime was offering a gentle gesture when no others would, forever cursing her to the shadows of an eyewitness’ pain. What an ordeal it must be when you’re among the ill-fated bystanders of a handheld horror film. As targets of influences that disobey the most fundamental laws of survival, they slog their way through a plot’s devious conventions with little time to react against the stampede of conundrums they encounter, as if their suffering is merely at the service of confusion. That’s because their hands possess cameras that facilitate the need for wall-to-wall uncertainty, most of which is driven by the conceit of filmmakers intoxicated by the endlessness of a scenario rather than the choreography of them. In most normal films we can at least expect the potential victims – however deep or shallow – to experience some reprieve from the terror long enough to deliberate their fates, or at least react in a way that opens narrow possibilities of endurance. But those endeavors of the “found footage” genre have usually abandoned those possibilities in favor of visual nihilism, no doubt because their characters are predestined to die out rapidly in a universe where the only survivor needs to be the lens of a cameraman.